Paddle, Climb, Aim and Cast! Campers get a taste for each of our four specialty tracks. Adventure Quest is designed to expose kids and teach general skills in the following outdoor sports: canoeing, climbing, archery and fishing. 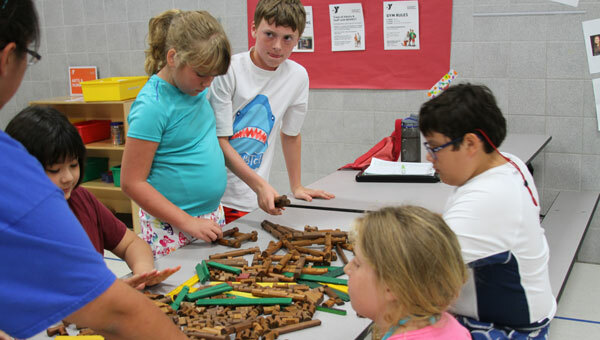 Campers will also enjoy the outdoors while participating in traditional camp activities. A field trip will be featured each week. While learning the fundamentals of archery, campers examine equipment close up, identify the parts of the bow and arrow, and learn the science behind drawing the bow and releasing the arrow. Instructors teach proper grip, stance and aim alignment. This camp will feature a field trip. Equipment is provided. Campers embark on a climbing adventure! Campers will gain new skills and self-confidence every day through a variety of climbing activities. Campers test their strength, strategy, and skill while learning safety procedures, belay techniques, knot tying and proper climbing techniques. This camp will feature a field trip to Vertical Endeavours. Take the outdoors on with two wheels! In this exciting camp, campers explore the Rice Creek Chain of Lakes area on safe and fun bike paths. They learn the basic parts of a bike and how to maintain them. We will use popular bike and city maps to navigate the wonderful trails using the best safety practices. Campers must bring a bike and helmet. Bikes will be transported by a bus trailer and locked up at camp M – F.
Kids get hooked on fishing as they learn basic fishing skills. Lakes provide the scene for fishing fun using the catch-and-release method. Campers can bring their own pole and tackle, or equipment will be provided. 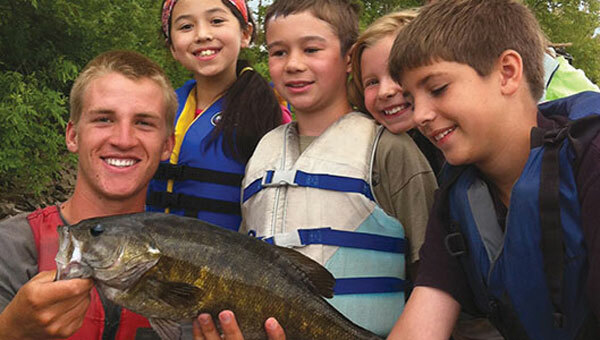 This camp features a special guided trip on a voyageur canoe provided by the Wargo Nature Center.